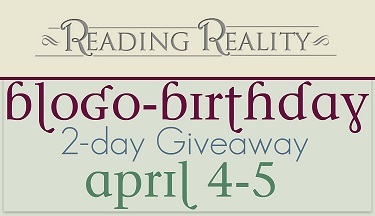 Sixth Annual Blogo-Birthday Blast – Escape Reality, Read Fiction! I look for thorough non-biased reviews, just honest opinion. Happy Blogiversary! I like when the review isn’t too long, and doesn’t give too much away. On book blogs I always read the excerpt and most of the time I will read the book if I’ve enjoyed the excerpt. Book reviews have sometimes ruined a book for me so I don’t read them always. A review not a synopsis. I look for well thought out, honest reviews. I look for honest reviews. Oh I have to say….honest reviews, but I do realize that everyone has different likes. So..someone may love it and some may not. 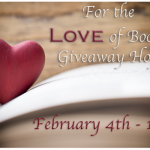 But…I do love a variety of authors and genres….so fun to find new favorites! I look for reviews on literary novels and some YA novels since those are my favorite types of books. I followed you here from the much-lamented Book Lovers Inc.–I can’t remember how long that’s been, but it’s been awhile. And I plan to stick around. I like how you lay out what worked and didn’t work for you in your reviews. People have different tastes, so I can say, “Oh, that’s a dealbreaker for me” or “Meh, that wouldn’t particularly bother me” when I’m making a decision. I’m a big SFF fan, but also like the mix of other genres you review. You even got me back into reading cosy mysteries. Thanks for all the hard work you put in to making a great blog. Happy Blogoversary! When I visit a book blog, I am there for well written and thoughtful reviews. I am not into romance, so I hate when book reviews go on and on about the relationship when it isn’t even the point of the story. The #1 thing for me in a book review is honesty that isn’t cruel. I hate the ones that I think are just trying to help out book sales! I look for honest and not too long reviews. I look for reviews that are honest about their feelings on the story or series. I like when bloggers are honest and passionate about what they’re writing. Congratulations! 6 years is fantastic. 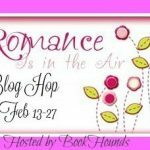 What I look for in a book blog… heart is number one. The readers can see when a blogger just doesn’t care. Next up honest reviews and short posts. I mostly look for honesty in the book reviews I read but without bashing the book or author. 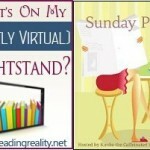 Pingback: The Sunday Post AKA What’s on my (Mostly Virtual) Nightstand 4-9-16 – Escape Reality, Read Fiction! First, I have to say how much I love that you called this a hobbit birthday!! I call my kids my little hobbits! What I look for in book blogs/reviews are comparisons to other books or authors. I know I will probably enjoy a book if I enjoyed something similar or I already enjoy the author. The #1 think i look for in book blogs/ reviews is honesty! I want to know if the book is clean. I like star ratings for books, so I can start with the very best, and then read others if I have time. Honesty and the type of book. I like nonfiction and historical fiction. Another blogversary! That’s quite an accomplishment. Congrats! The main thing I’m looking for in a review is honesty. I’m always suspicious of blogs where every single review is nothing but gushing praise. No one likes every book they read LOL. I also appreciate it when the review tells me what they liked and didn’t like in the book. I love your reviews because they are so articulate about why you liked or didn’t like a book. I look for a clear and honest review! When the reviewer can make me feel like i must read a book thats a great review! Happy Blogo-Birthday!!! I look for a compelling plot. I will read something if the plot resonates with me. The number one thing I like in a review blog is honesty in the review. Thanks for the giveaway. I hope that I win. Like everyone else mentioned, I like when reviews are honest and to the point. Happy Blogoversary! I look for book reviews and recommendations. I look for an interesting review. I like to know something that I couldn’t have figured out by myself. I get opinions of family and friends first them look for online reviews. I look for reviews that describes how clean a book. I tend to stray from books loaded with foul language but not all book reviews are clear on that. I look for reviews that describes how clean a book is. I tend to stray from books loaded with foul language but not all book reviews are clear on that. I look for honest reviews! They’re hard to come across Now a days. I look for an true honest review. I look for an honest review that will tell me if the book’s worth reading! I like seeing a variety of genres on book review blogs! I look for more than one and a short and honest review. 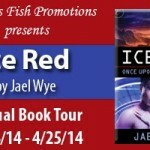 I look for reviews on a wide range of genres as well as giveaways on book review sites. I look for honesty, enthusiasm, and humor. I look for honest reviews that do not contain spoilers, yet gives me more of an insight to the book other than the author’s premise usually found on the back of the book. I look for honesty. Honesty is the best policy! 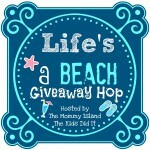 The number one thing I look for is giveaways. I look for a star rating to gauge if I’m about to read a good review or bad review. Happy blogoversary! I look for reviews that aren’t just empty words, but a quality review of the book the person read. A good review makes all the difference in trying to decide between a couple of books! I look for an honest review that is not too revealing. If I see a spoiler happening, I shut my eyes off and douse the web review. If the review makes me interested in reading the book. I always look for honest reviews meaning there is the negative in there too. I also, look for if the writer was given the book for free. If I see that then I will not take the review for heart. Mainly because they write to please the author. I need the review to be real!